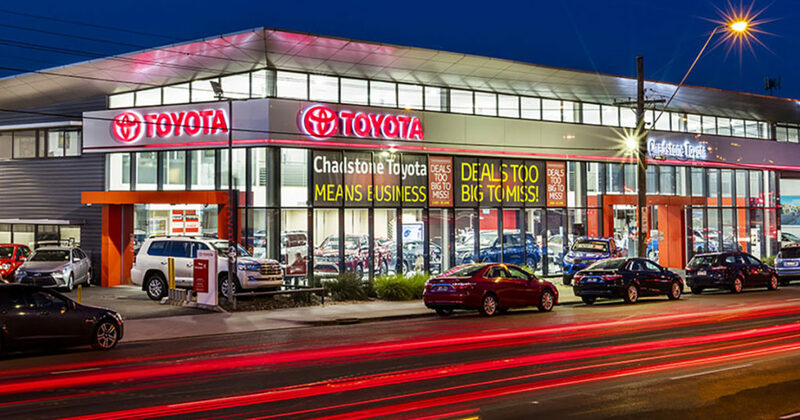 It’s with great pleasure that we announce long time Bronze Partner of the club, Chadstone Toyota has upgraded to Gold status and will proudly present the Blue & Gold Ball on August 20th at the Plaza Ballroom. We are thrilled to have the team from Chadstone Toyota on board for the evening and look forward to further evolving their partnership with the club in Season 2017. Located just a short drive from the club at 1547 Dandenong Rd in Oakleigh, the dealership carries an outstanding range – if you are looking a purchasing a vehicle be sure to drop in and mention your association with the club. Club stalwart Loretta Crowe recently purchased from the dealership and our esteemed President its in the process of doing the same. The team are ready to look after anyone from within the Blue & Gold Army in the market for a vehicle. Chadstone Toyota: DRIVING THE DEES!